One of the main parts of this shoot was to get the shot for Rasaleela Clothing's Frankie Magazine advertisement. 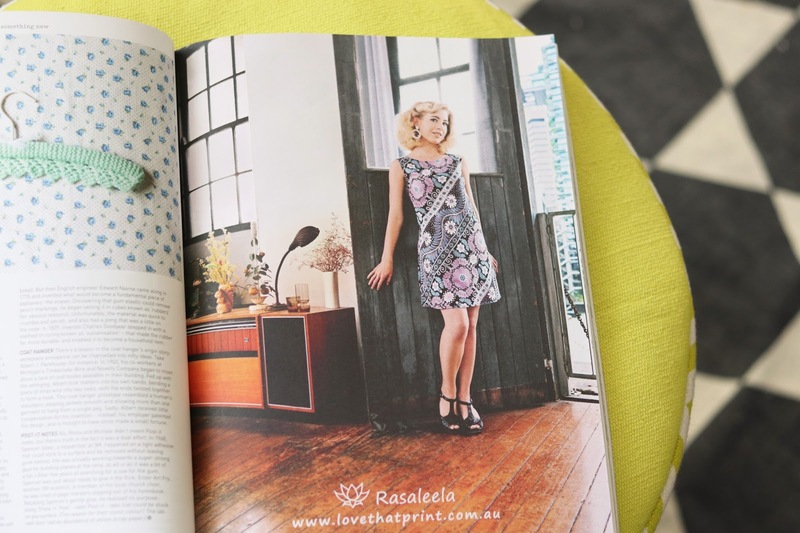 Designer Trish decided the Frankie dress would be the perfect fit for the mag and a great representation of her brand. This dress is cute, fun, unique and summery so I could not agree more. 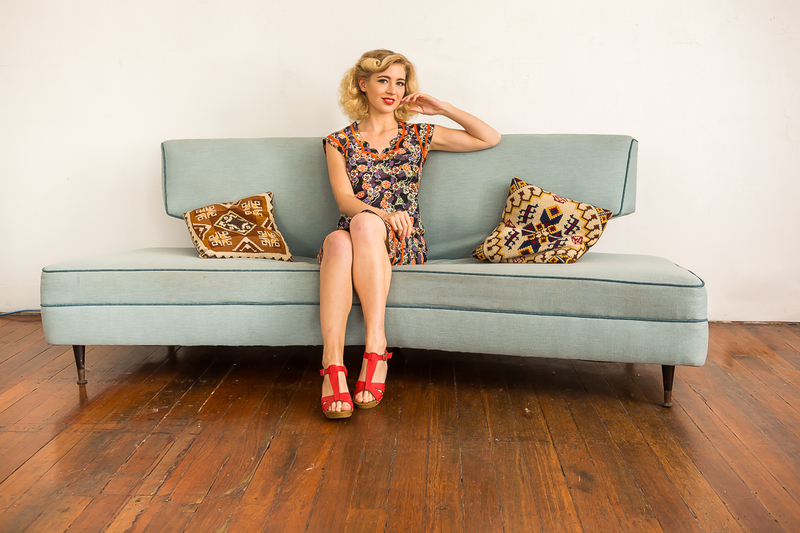 We shot in a gorgeous studio in Sydney back in May that was decked out with retro furniture and quirky, random things and it could not have been more perfect... There was even a resident cat who was both friendly and very fluffy. I've included a variety of images from the shoot that have been used for Rasaleela Clothing's look book and campaign for the new collection, I've had trouble picking my favourites from the season as the prints and designs are simply stunning. Rasaleela to me embodies elegance, beach vibes, boho style, unique prints, retro style and is just really fun to wear. I also find myself dressing my Rasaleela pieces up or down and that's something I find valuable when investing in clothing. This dress style may look a little similar to something I have worn on the blog a couple of times previously, the Nina Maxi Dress. The Polly is Nina's sister and I absolutely love the length of this one too. What I love the most is the print on the dress, it's so bright and just so pretty, very summery. I'll be featuring a full blog post of this one soon, so keep an eye out for that one. Other highlights of the day included plenty of social time with the resident cat, yummy burgers and snacks throughout the day, amazing hair and make-up, excellent photography, dancing around in the new designs months before they were released - it was so exciting to see them all lined up on the rack together, getting to know Trish after chatting by email for blog collabs over the past couple of years. I'm really thankful for having the opportunity to work with such an amazing and welcoming team. 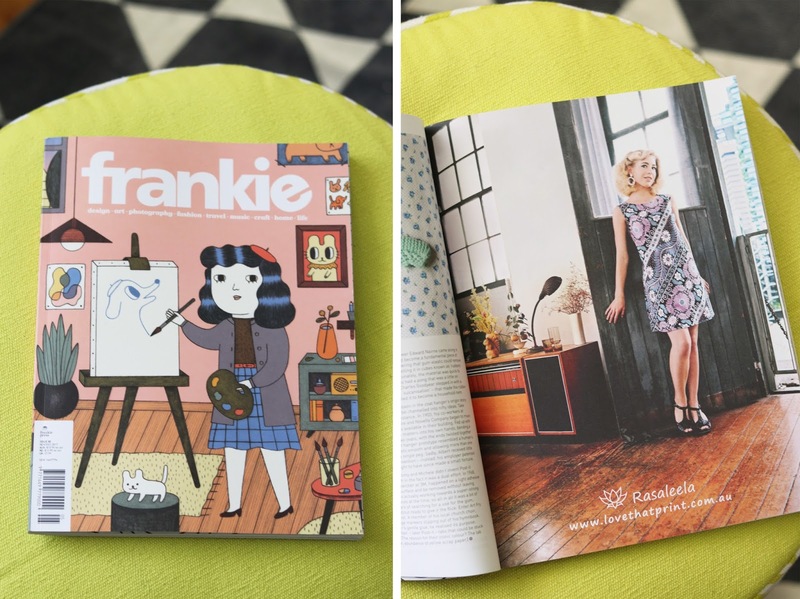 I'm super excited about how the Frankie magazine advertisement turned out and I admit to rushing to the news agency to grab my copy when it came out a few weeks ago hehe. Look out for more Rasaleela on the blog this summer, can't wait to take new pieces for beach side strolls. Congratulations on a gorgeous shoots with one of your favorite brands!